Completely re-imagined, the innovative new open-cockpit design takes full advantage of the 38's large beam. With an enormous U-shaped lounge that cradles you in comfort and luxury. 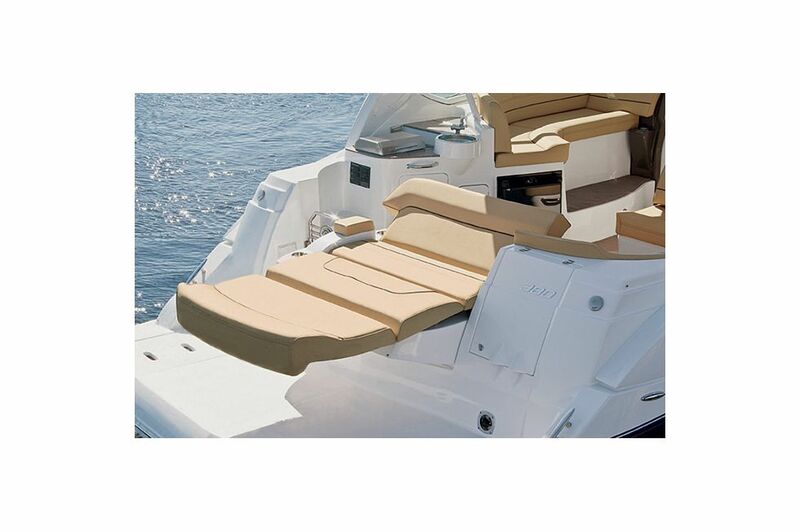 Soft--yet supportive--multi-density foam seating covered in supple premium vinyls is accented with color-coordinated French stitching that surrounds you in elegance. The wet bar is adorned with solid-surface countertops that perfectly accent the stainless steel pedestal sink. Optional seating such as the power rear fold-down sun lounge and chaise make worshipping the sun effortless. And amenities such as your choice of a cockpit refrigerator or ice maker, electric grill, and air conditioning ensure the 38 enriches every pleasurable day you're aboard. 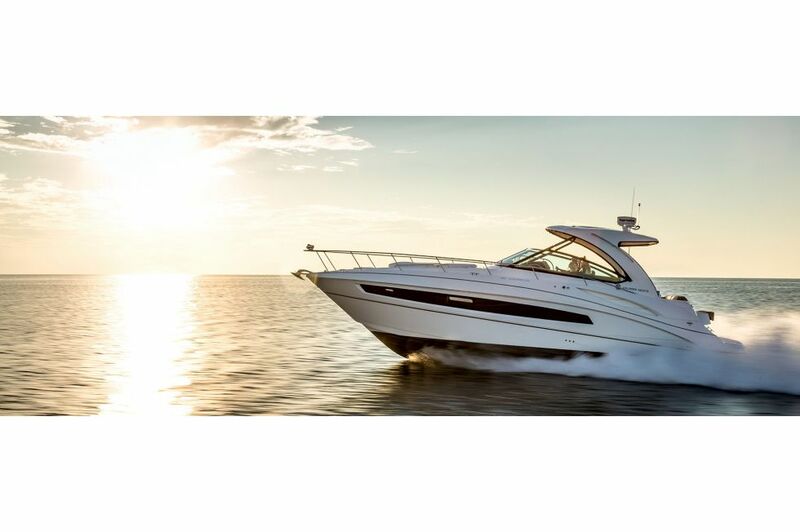 Sitting at the helm of the 38 Express by Cruisers Yachts, you'll feel in complete, luxurious, control of this beautiful yacht. Incredible design coupled with the latest in technology, the well-placed and thoughtful helm is designed to ensure you have everything you need within a moment's reach. The helm of the 38 Express delivers the perfect combination of rich wood grains, metallic ornamentation, stainless detailing, and chic hand-stitched leather featured on the steering wheel. 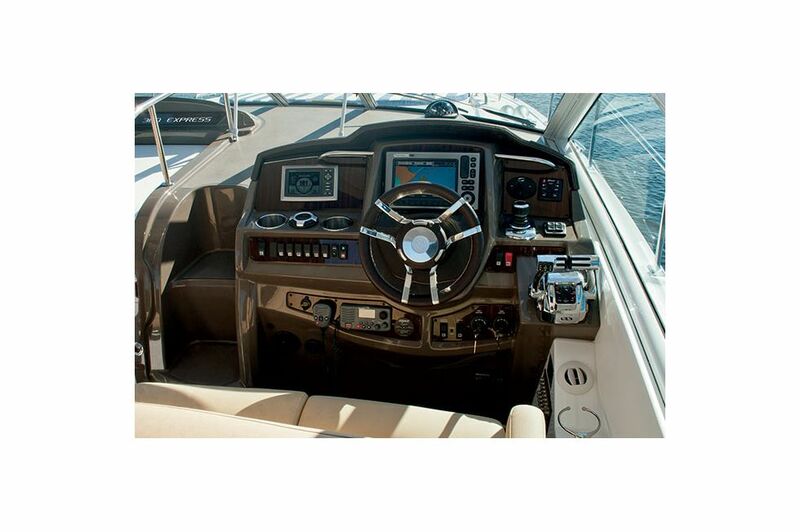 The helm aboard the 38 Express hosts the largest screen available in this class of yacht with easy access to the buttons without losing focus on your important gauges. The portside companion lounge is equally impressive, with its floating headrest and comfortable chaise lounge it's the perfect place for great conversation on the open seas. The beautifully well-lit and luxuriously designed salon on the 38 Express is the perfect space for great conversation, relaxation and memories that'll never fade. Running nearly the lengthy of the yacht, the salon has six large vertical ports letting a stunning amount of light stream into the space. With bonus features such as the optional sofa sleeper, you can create the perfect space for guests to relax and enjoy the ride. Explore additional features the mid-section of this Cruisers Yacht has to offer as you picture yourself on this beautiful yacht. 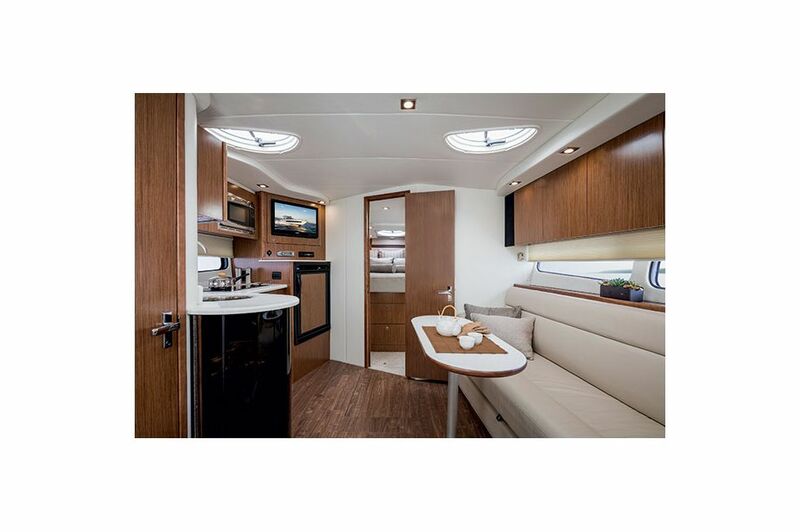 The 38 Express has an efficiently and beautifully designed galley aboard to provide all the comforts of home while you venture out on the water. The faux granite countertops give you durability and a neutral smooth look in the already tranquil salon. The sink cover gives you the convenience of a customized cooking experience and additional space aboard the 38 Express to prepare delicious meals. Enjoy the beverage/glass cabinet, microwave, two-burner electric stove and a large refrigerator/freezer to give you an easy cooking experience. 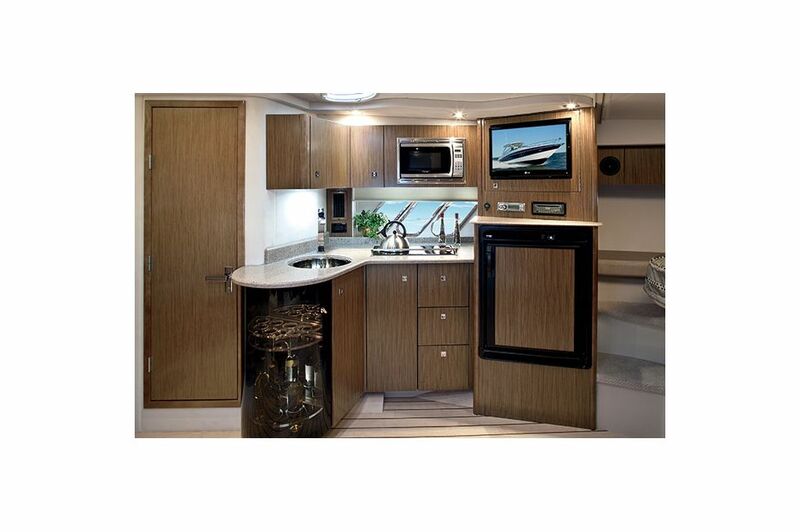 A LCD TV and DVD entertainment center completes this comfortable and function space on Cruisers Yachts 38 Express. 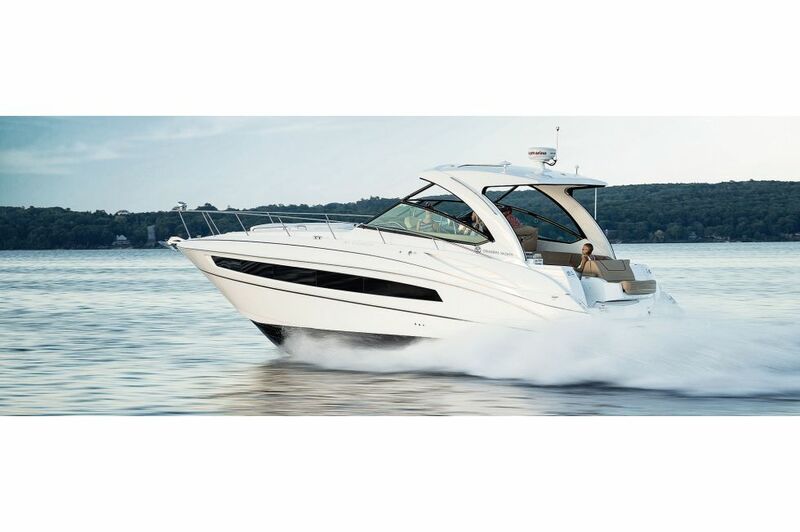 Designed with comfortable details from start to finish, the 38 Express has a forward master stateroom that impresses. 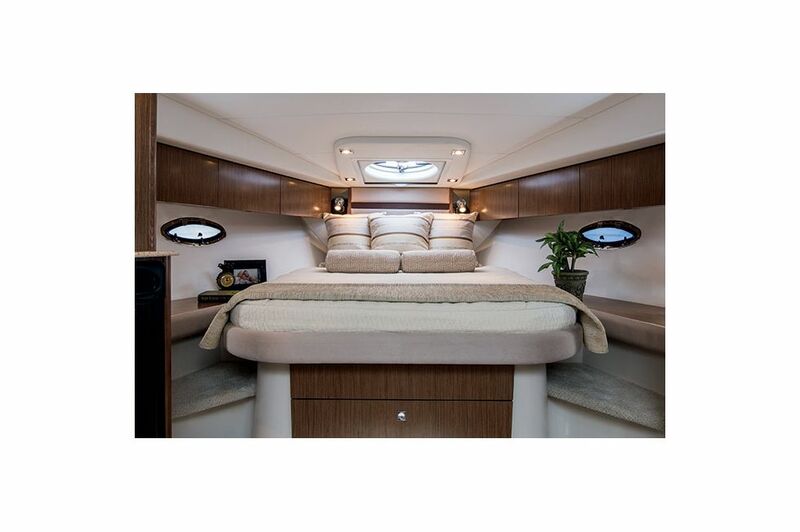 With a queen-size island berth usually not found in yachts of this category, you'll love access to either side of the bed and an inviting cushioned headboard. Also included is a large hanging locker and numerous cabinets for extra storage. A unique "tucked away" privacy curtain is standard, or select the optional full bulkhead and door creating a custom space for you to call your own. 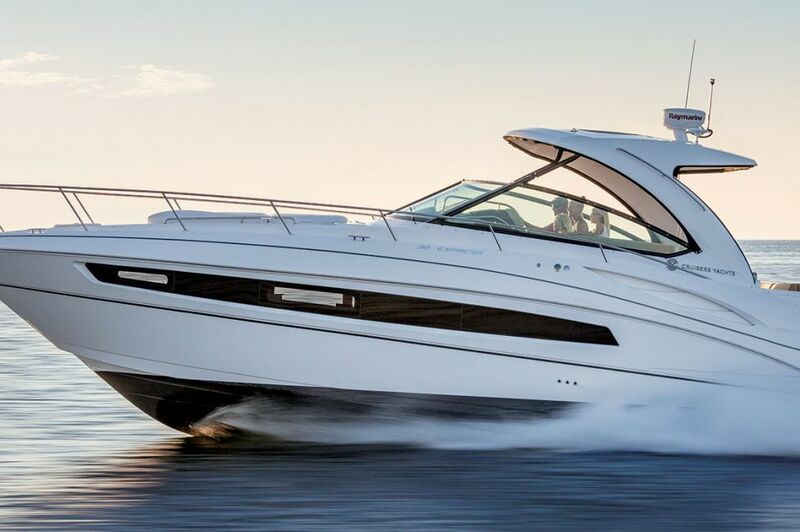 The design features you love aboard the 38 Express continue through to the head aboard this beautiful yacht. 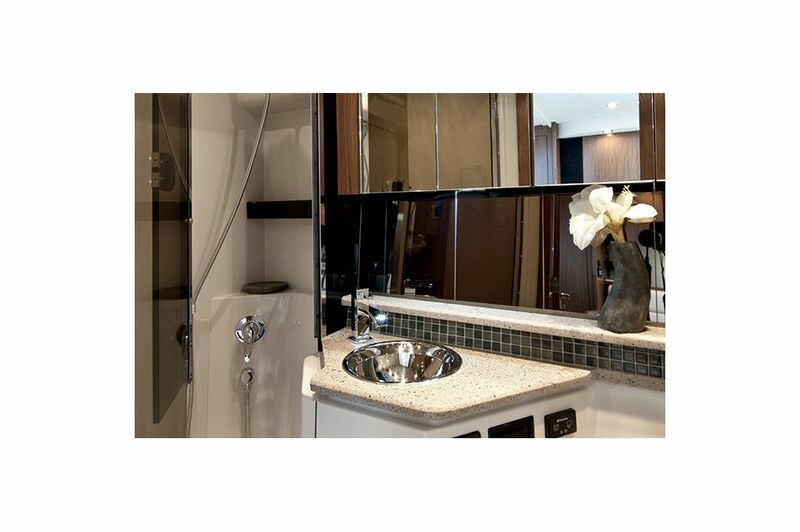 Included in the aft head is a separate shower stall, granite inspired counters, generous mirrors and a beautiful mosaic backsplash. 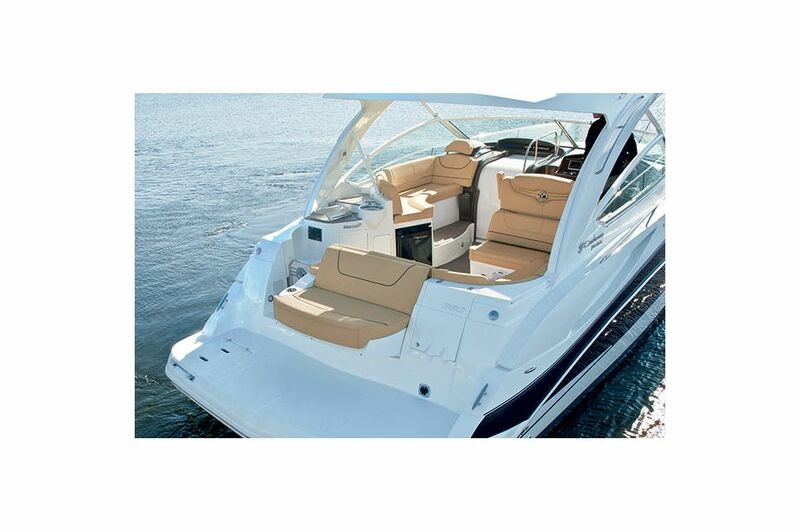 The aft deck of the 38 Express is the perfect space to relax or get geared up for a day of watersports fun. You'll find the convertible sun lounge lends itself to enjoying the sun or keeping an eye on the activity aboard and off the stern. 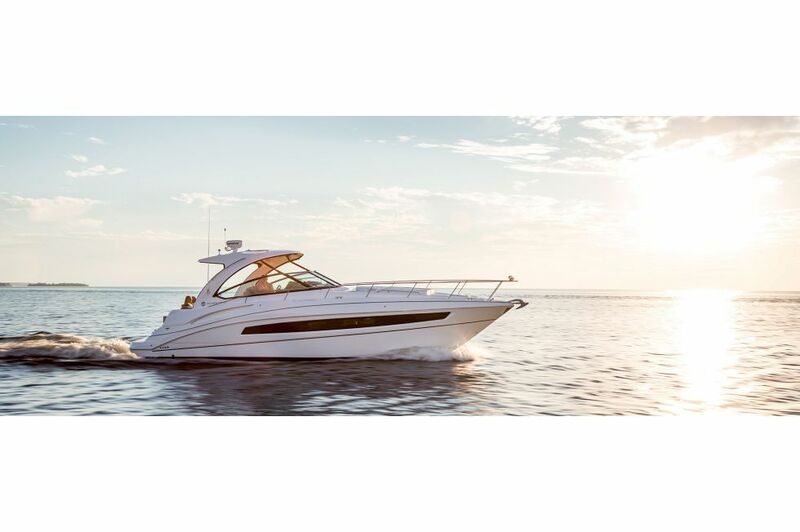 The added details of the stainless steel grip handles and water-proof floor grip makes this a safe and easy place to enjoy on the 38 Express by Cruisers Yachts. The 38 Express seems to have endless acreage. Take full advantage of all this yacht has to offer from bow to stern, including the comfortable bow lounge. Catch up on much needed conversations or escape the day-to-day with sunshine and beautiful views from the bow of this striking yacht. 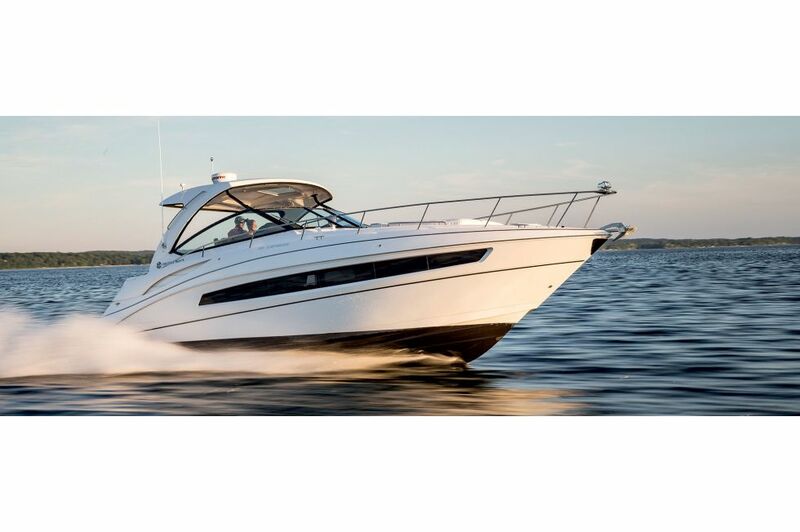 Enjoy ease and access with the walk-around of the 38 Express by Cruisers Yachts. The height of the guard rail offers a sense of safety and the stylish stainless steel makes this yacht feel even more of a trend-setter.